Having moved to Langley in 1992, I have been immersed in the local community for twenty years. I have not only raised my children here, but also worked here, bred and shown horses in the countryside, got involved in community events, and feel I am very much a part of the rich mosaic that makes up Langley. My trip here was circuitous. I was raised in Central Africa and moved to South Africa where I built an equestrian teaching and importing business from grassroots to over 600 students a week, and at one time 56 horses. But in 1989 I decided Africa was not where I wanted to raise my children and came to Canada via SE Asia, Australia, and Europe. I feel this breadth of international travel and work experience brings a unique element to my real estate career, and as a result I am keenly attuned and very aware of the unique elements that continue to make Langley a wonderful place to call home. 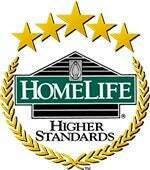 With the Homelife team behind me, I have the knowledge, tools, and drive to ensure that you get the maximum value out of your buying and selling experience.